Metro is offering the following pieces of training to those interested in the environment and sustainability. Questions about the courses or how to register, contact Stacy Sinclair or Sustainability@Metro.net. 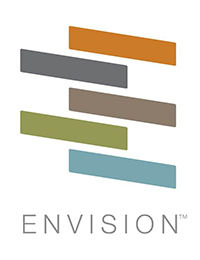 The Envision Rating System is an international standard for assessing the sustainability of projects across a variety of categories. This two half-day training provides instruction in the rating system through presentations, group exercises, and case studies. This course is designed for anyone who wants to learn about selecting the right sustainability solution for a project, especially planners, engineers, architects, operators, maintainers, and procurers. • You will take the course with Metro employees, allowing us to pass cost savings on to our partners. • Highly rated Envision projects tend to have long-term viability, lower cost, fewer negative impacts on the community, and saves owners and operators money over time. Completion of this workshop qualifies participants to take the Envision Sustainability Professional (ENV SP) accreditation exam. Sign up for a free ISI account in order to view workshops and register. G-PRO Fundamentals: The first module, Fundamentals of Building Green, provides a foundational background on concepts that will help you bridge the gap between conventional and sustainable practices. • You will learn the skills, processes, and tools to get the most out of resilience assessments, planning, and implementation. • Learn a methodology for busting silos and unleashing the potential of buildings, organizations, and communities so that they can adapt and thrive no matter what disruptions come their way. Resilience is the capacity to survive and thrive in the face of stressors and shocks. Learn what that means in real life, and how to become more resilient as individuals, organizations, and communities. Learn about passive survivability, social capital, social equity, business continuity, and how to deploy the Building Resilience process in your projects using real world examples. This half-day workshop introduces the concepts of resilience through local case studies, including some from Metro. Participants learn how to create opportunities in their work environment for these ideas to be introduced and take hold. This workshop gives an overview of the concepts that are shared in more depth through the introduction to resilience workshop series (below). The next workshops will be 1-5pm: December 11, March19, and June 18. Building Resilient Communities : - January 18, 9:30-11am - Communities that are connected and empowered are better off today and more able to respond and recovery when disaster strikes. Learn why communities are fundamental to resilience, and how we find, connect and support. Explore how this translates into developing strong teams at work and how can we leverage organizations and project teams to prepare for a changing world. This interactive workshop will provide participants with real world examples and strategies for understanding and supporting team building and community engagement as a key component of resilience. Managing Risk and Uncertainty : February 12, 1:30-3pm - We know that it will be different from the past. As disasters increase worldwide due to climate change and other forces, learn how to make informed plans and decisions that lead to a more resilient future. Building resilience means planning for change in ways that make you better off now. By leveraging and linking the work organizations are already doing on sustainability, risk management, emergency preparedness and business continuity, you can create new opportunities that improve the public good and the bottom line. Learn ways to bust silos and unleash the potential of buildings, organizations, and communities so they can adapt and thrive regardless of disruptions. This interactive session based on real world examples will provide participants with a framework for evaluating risk and making smart decisions in the face of change. Building Resilient Energy Systems : April 5, 9:30 – 11am - Learn about the design and implementation of clean, diversified and reliable energy systems, established and emerging technologies. Understand the connection between resilience and sustainability, zero net energy, and the potential for creating a green and just energy economy. This interactive session will provide a framework for understanding resilient energy systems - generation and transmission, passive systems, efficiency, reliability, and safety in a changing landscape. 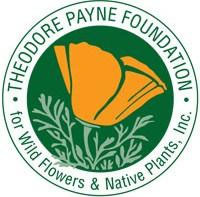 Increases awareness about challenges and opportunities related to the use of native plants. California native plants offer beauty, drought tolerance, heat resistance, low maintenance, and habitat for pollinators and other welcome wildlife. They also impart a sense of place to our public and private landscapes. This class discusses native plant alternatives to many of LA's widely used, familiar exotic plants, including trees, shrubs, groundcovers, and perennials. Landscape choices can play a vital role in the health of local ecosystems when they are enriched with native plants that provide essential habitat and food for Southern California birds, bees and butterflies, among other welcome wildlife. Learn about selecting native plants for their benefits to the greater ecosystem and biodiversity. Explore some examples of Metro efforts in planting natives and generate ideas for next steps. A successful native plant garden depends on picking the right plants for the site and proper on-going care. This class provides basic information on plant selection, planting, establishment, watering, pruning, and pest management. Helpful handouts and resources for more information will be provided.